London, UK, Oslo, Norway and New York, NY, 19 October 2017 – Confirmit has announced the appointment of Halvor W. Stokke as Chief Financial Officer, following former CFO Ken Østreng’s move to the position of President and CEO earlier this year. 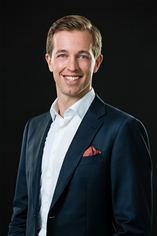 Stokke joins Confirmit from global engineering and construction organisation Kvaerner, where he held the position of Vice President, M&A and Business Development, for five years. During this time, Stokke was responsible for business strategy and planning, driving the reorganisation of the company at a time of volatility caused by significant price fluctuations in the oil industry. Prior to Kvaernar, he spent two years in strategy and business development at Ringnes, Norway’s largest brewer and part of the Carlsberg Group. Stokke’s long-term interest, however, has remained in the IT industry, which began during his first role as a consultant at The Boston Group Consulting. This interest was the catalyst for his move to Confirmit, the leading global solutions provider for Customer Experience (CX), Voice of the Employee (VoE), and Market Research (MR). Stokke was also impressed by Confirmit’s longevity in a turbulent and competitive technology market, its ongoing financial security, and its history of successful merger and acquisition activity. He says: “Over 20 years after its foundation, Confirmit remains at the forefront of delivering solutions that allow global businesses and Market Research organisations to listen to their employees and their customers, and act on the feedback they gather. This in itself is impressive, but to experience year-on-year growth and profitability without any need for external investment, it’s clear Confirmit is able to adapt to an ever-changing market. Established in 1996, Confirmit achieved record sales in 2016 and delivered over 1.4 billion questionnaire pages on its SaaS platforms in the first half of 2017. Growth has happened both organically and as the result of a series of acquisitions, including IRM in Australia in 2015, Integrasco in 2014, CustomerSat in 2012, Techneos in 2011 and Pulse Train in 2007.